April is stress awareness month and I can’t think of a better time to review how stress interferes with wellness. There is a promise of new growth that encourages us to seek ways to minimize stress by managing our reactions and making better choices. · Make our cognitive problems worse. · Make our pain worse. · Hijack our ability to cope with pain. · Interfere with orchestration of neurotransmitters in our brain. · Cause autonomic nervous system problems. · Make comorbid or co-existing disorders harder to manage. So, if we ask, - Does fibromyalgia make me vulnerable to stress? - The answer is yes. · Changes in vital signs and body temperature. This is particularly important to when dealing with the autonomic effects of fibromyalgia. · Muscle tension, spasm, or dysfunction. · Gastrointestinal problems, like GERD or IBS. · Immune system problems, like poor healing. … and others that may be specific to you. · Fear and loss of control. · Impulsive behavior, such as stress eating, unnecessary spending, or taking risks. · Avoidance of physical activity. · Difficulty setting and achieving goals. Knowing our behavioral response to stress is important for us to set achievable goals and develop an effective plan for dealing with chronic stress. Those of us living with fibromyalgia understand the consequences of stress. But, what are some things we can do to promote focus, minimize pain, improve sleep, and reduce the effects of stress gone awry. · Make a stress response plan with measurable action-oriented goals. · Make a real effort to get back to a hobby. · Find ways to explore nature. This is particularly helpful for me, because I can use my hobby of photography and writing poetry. · Celebrate accomplishments with family and friends. · Surround yourself with people who encourage one another. · Use mindfulness techniques, such as progressive muscle relaxation, meditation, creative visualization, etc. · Incorporate bedtime rituals to promote sleep. · Listen to music that has a calming effect on us. · Move around. When I realize I am drowning in stress, I get physical. I organize closets, clean out the refrigerator, take a walk, go through old computer files, practice Tai Chi, etc. I highly suggest this. · Write in our journal. · Get a massage or other bodywork. · Be involved in our healthcare. 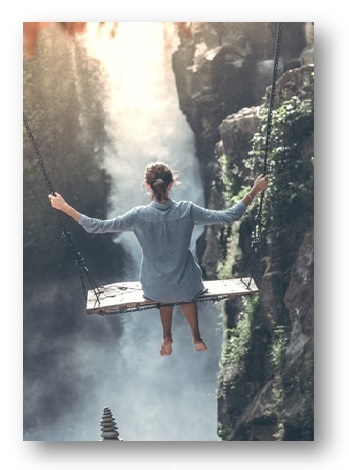 · Find a therapist who understands chronic pain and can provide useful tools for reducing stress, like guided meditation, hypnosis, and biofeedback. * If stress is interfering with your normal activities of daily living, it’s time to seek professional help. We can’t always control our stress triggers, particularly when living with the unpredictability of fibromyalgia, but we can control our response. The more practiced we become, the quicker balance is restored.